Home > What Is The Role Of Content In E-Commerce? E-commerce in the Philippines is on a steady rise, with an expected annual growth rate of 12.0%, resulting in a market volume of over $1,300 million by 2022. While this boom is strongly driven by internet penetration, availability of e-commerce platforms, and increased government support—e-commerce has also been driven forward by something consumers have been looking for. According to the 2018 Nielsen Quest for Convenience Report, 38% of Filipino consumers look for products that are convenient to use. In fact, we are one of the most active seekers of convenience. Our changing lifestyles, longer commutes, increasing time spent online, and even the amount of stress and anxiety we currently deal with all contribute to the growing demand for convenience. Consumers want something that is easy and simple to use. They want products they can access quickly, and at any time. In short, they want brands to help them use their time wisely. This is precisely the reason why 38 million consumers transact online instead of going to traditional stores. 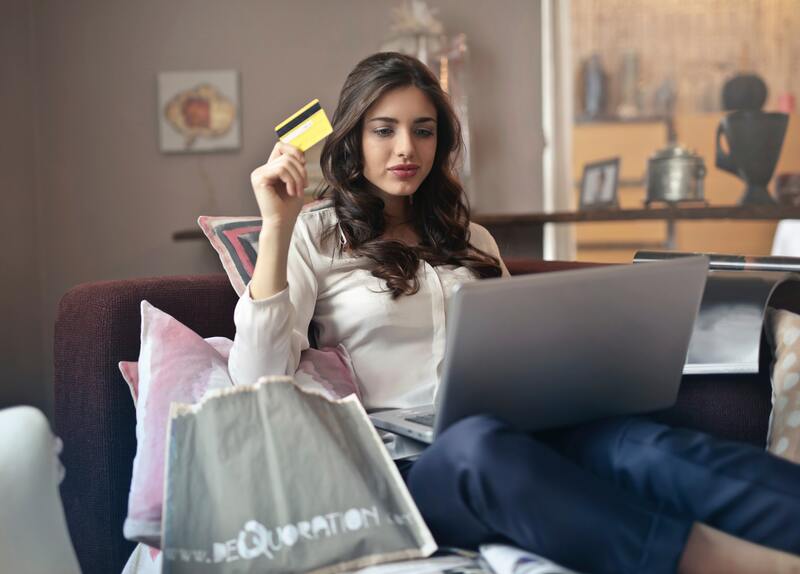 In our recent article about the purchase journey of millennial moms, we mentioned the difference between traditional commerce and e-commerce. The former offers a physical store to which consumers can go and evaluate a certain product. The latter does not, which can make it difficult for potential customers to access pieces of information that can help him/her make a purchase decision. This is where content can help you out. Content makes it easier for your prospect to evaluate your product without having to go to the store. 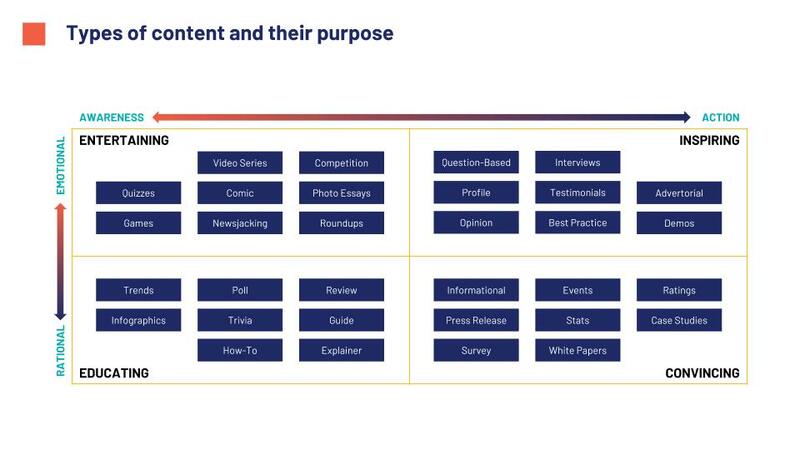 Content does this in many different ways, formats and channels. You may be wondering, though: With all the different types of content, how will you know which ones to use? It all depends on your business objectives. Content may be used to entertain, inspire, educate and convince your prospects; and ultimately helping them decide whether to purchase your product or not. Also, sponsored articles do a better job of educating users vs. banner ads and lead to high-quality site traffic. This used to be word-of-mouth advertising. But with social media, this now includes influencers—people we don’t personally know but follow and interact with online. Influencers are especially helpful in e-commerce because they take the place of an in-store customer experience. 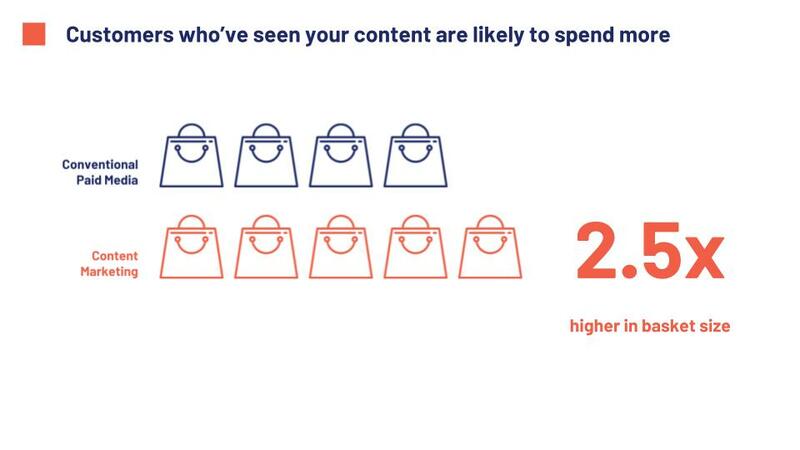 E-Commerce & Technology companies who have run large sponsored content & content marketing campaigns with the help of GetCraft also tend to see the overall basket size and engagement of users being x2.5 higher than via paid media. Investing in content helps your brand build audience trust, increase sales, and offer a diverse set of messages that can help you reach your goals in new and exciting ways. Once you’ve allocated a budget for content, you need to make sure you’re working with the right content partners in order to maximize the return on your investment. Through the GetCraft Marketplace, you can easily select which content partners match your requirements. Browse through the profiles of 4,000 vetted content creators and discover thousands of high-quality sponsored content partners in Southeast Asia.